Hey there vegheads and happy May! I get so many amazing questions on instagram and unfortunately I am not able to answer them all. 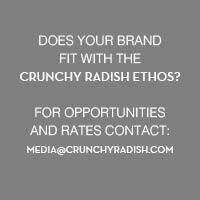 At the start of each month, I like to get the ball rolling on Crunchy Radish for some crunchy Q and A. Feel free to write your questions in the comments below and I will do my best to answer them! Hey there vegheads! I get so many amazing questions on instagram and unfortunately I am not able to answer them all. To best help you, I am creating a monthly installment on Crunchy Radish where I will provide a Q and A. Feel free to write your questions in the comments below and I will do my best to answer them!